Professional's Choice has developed Theramic yarn, the latest in ceramic therapy. It is a custom engineered yarn that contains reflective ceramic fibers. The yarn reflects natural body heat in the form of long wave infrared heat radiation, which is easily absorbed by the body and is known to increase blood circulation, reduce inflammation, and ease pain. Specifically designed for use prior to and following workouts to aid in maximum injury prevention and recovery. 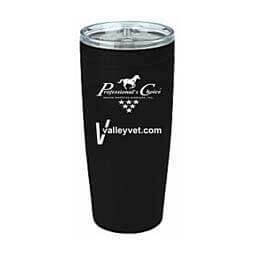 Product is flexible, soft, and durable enough to be used every day on your equine athlete. 30-day money back guarantee. Features a fleece wither for comfort, double chest straps for secure fit, leg straps, T-buckle surcingle, and front gusset for freedom of movement. *(ds) - Ships in approximately 7 day(s). See Shipping section on Information tab below for details. This item ships in approximately 7 day(s).